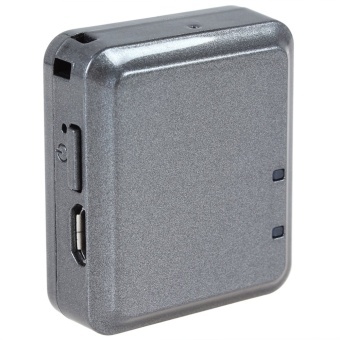 - Super mini RF-V8 GPS tracker & anti-theft alarm. - Positioning fast & accurate. - Burglar-proof function & remote listening function & SOS function. - Powerful platform application, you can track through website platform www.gps123.org, APP tracking tracking and SMS tracking. - With low battery charge alert. - With vibrating & sound sensor burglar alarm inside. Prepare For work: Please use GSM network Micro-SIM card (same as micro card for Iphone4) for the product. - Please be sure the tracker is turn off before insert or take out the Micro-SIM. - Please be sure the GPRS and Caller ID has been activated. - Level One: Alarm would ring while the car be beat. - Level Two: Alarm would ring while the device sense twice beating in two minutes. - Level Three: Alarm would ring while the device sense five-times beating in five minutes. - Level Four: Alarm would ring while the device been moved 10 meters per sec. Note: You could select various level of sensitive according to various situations. Noise Sense Alert: Alarm would ring, when the device monitor the sound of surroundings over 45Db. This device apply to warehouse & valuable property. Remote Listening Function: With high acoustic fidelity, all the situations of your car and property controlled by you at anytime. Low Battery Charge Alert:When the battery life is less than 10%, the tracker will send SMS message to the master-control phone number with 10% battery life, the standby time is 2 hours, you could make a call within 2 minutes. SIM-changing Alert:When the SIM card is changed the tracker will send SMS message to the master-control phone number.